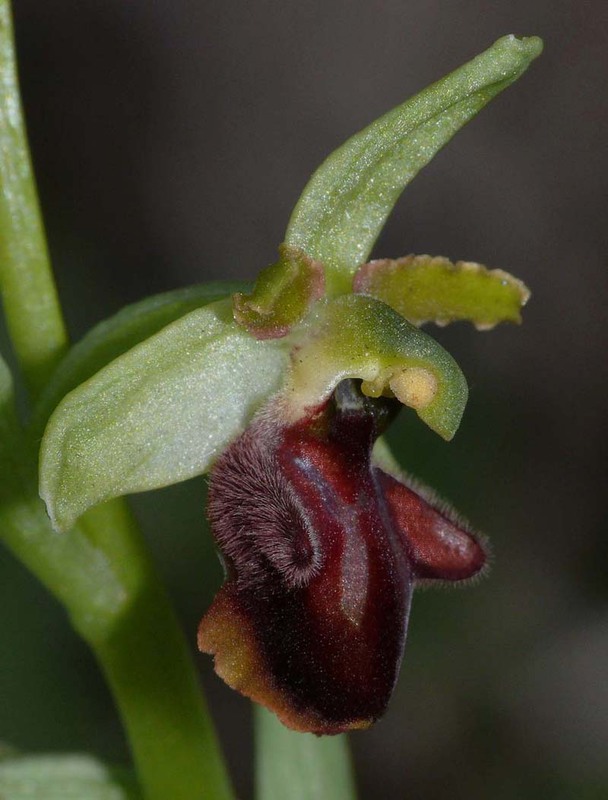 O. cilentana was first formally described as a species from the Italian region of Cilento by Devillers and Devillers-Terschuren in 2000. 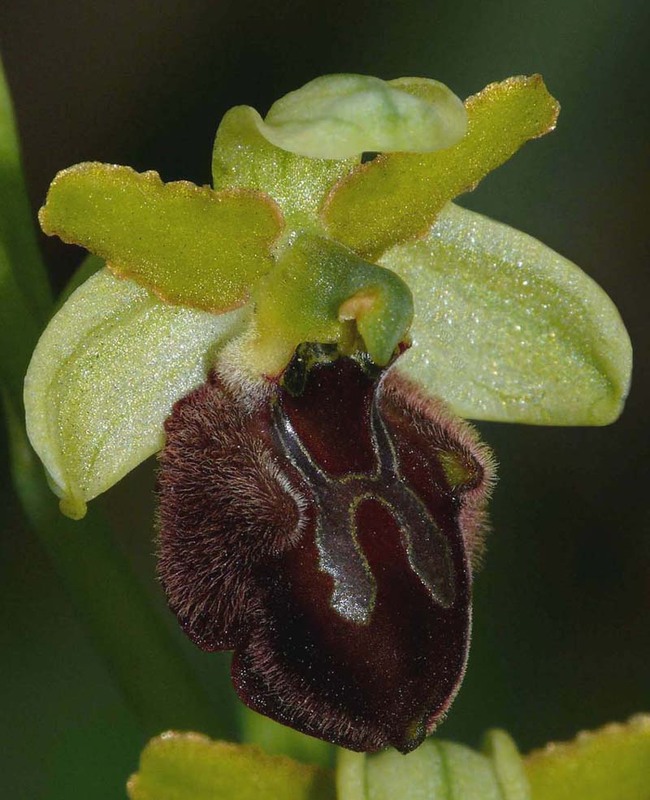 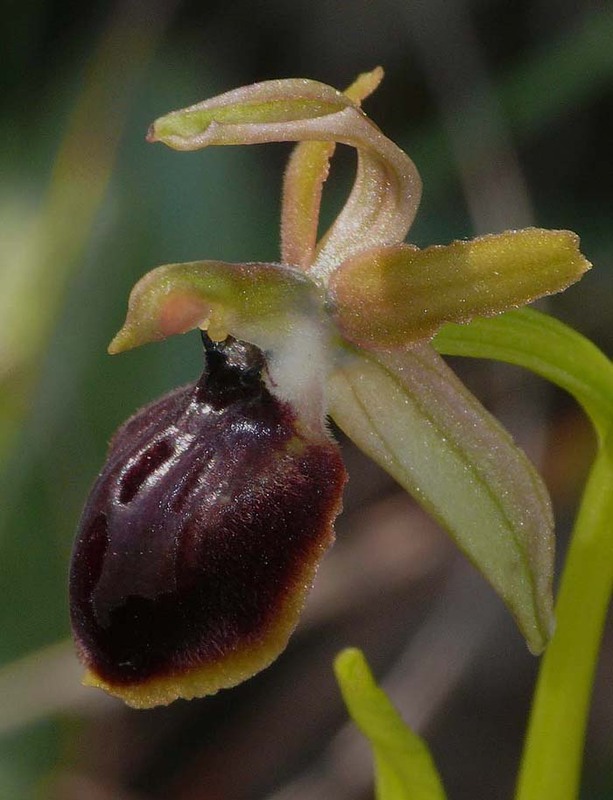 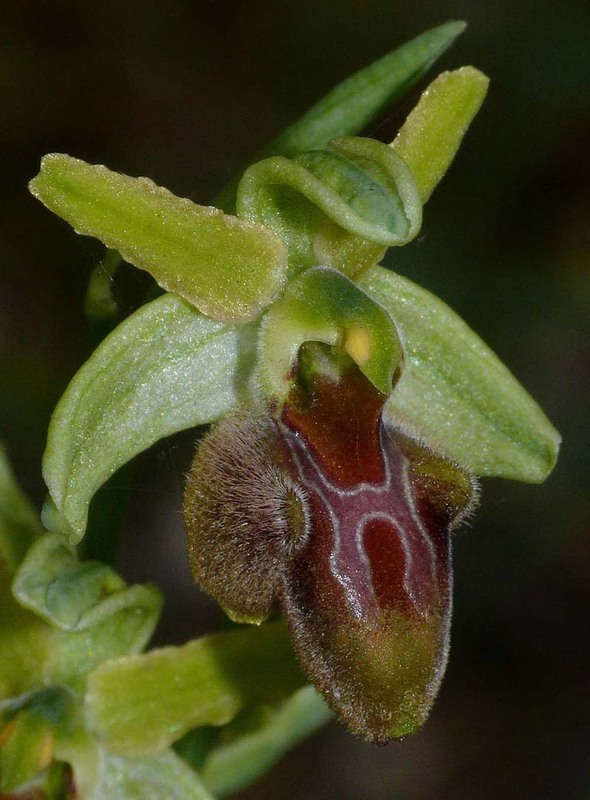 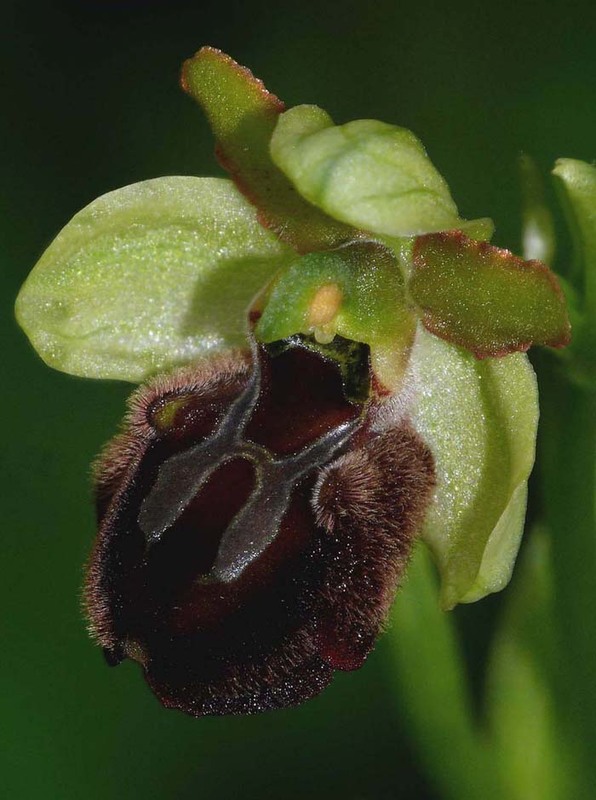 Prior to this it was referred to as O. arachnitiformis subsp cilentana, but despite a close morphological resemblance to O. arachnitiformis it is in fact a member of the O. exaltata group of Ophrys. 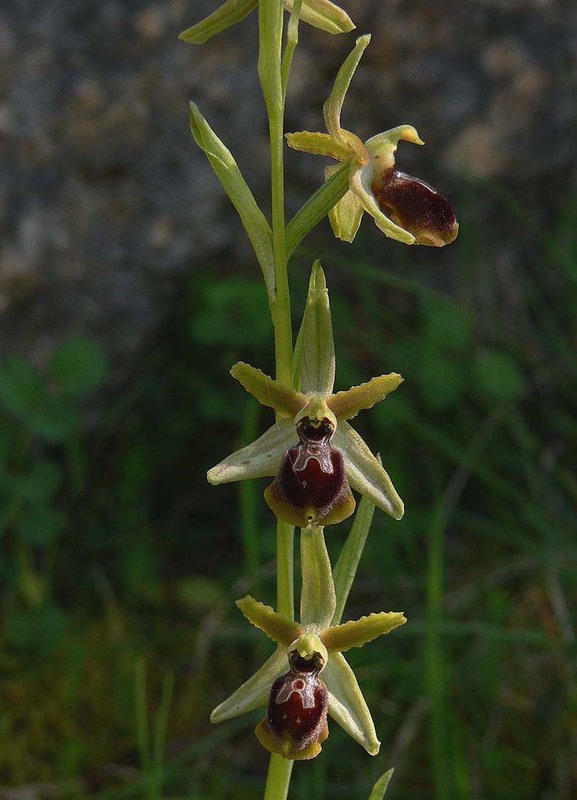 Perhaps the most important distinguishing factor in determining the identity of O. cilentana is its location, being restricted to an area in the west of Italy centred on the Cilento National Park, with the northern boundary around Naples, and in the south, reaching no further than the Pollino National Park. 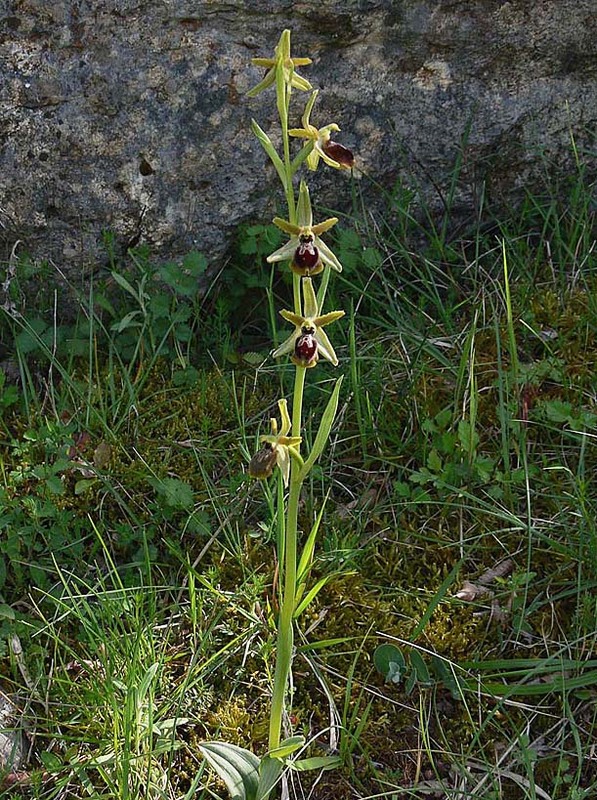 The zoning of the early flowering Ophrys species in western Italy is well documented with O. tyrrhena, O.argentaria and O. tarquinia occupying northern and central Tuscany. 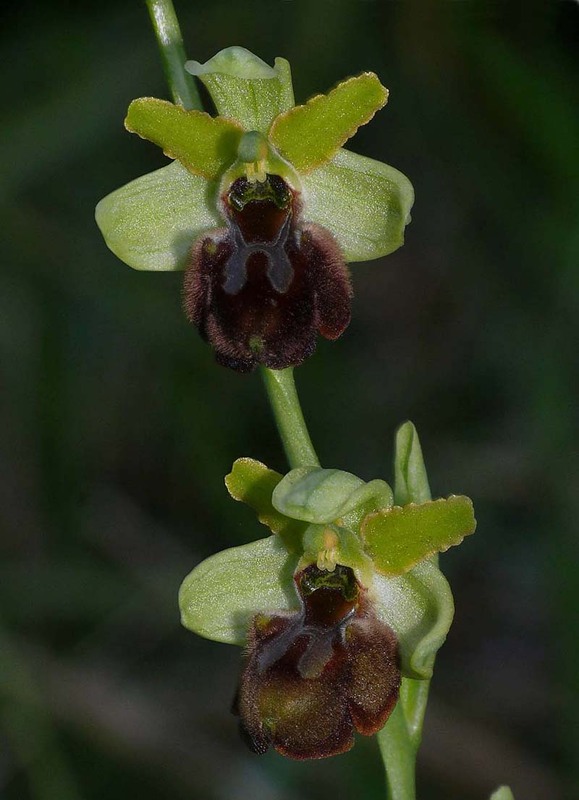 O. classica then predominates from southern Tuscany through to the Naples area where it is replaced by O. cilentana, which is itself then replaced by O. exaltata and O. brutia through Calabria. 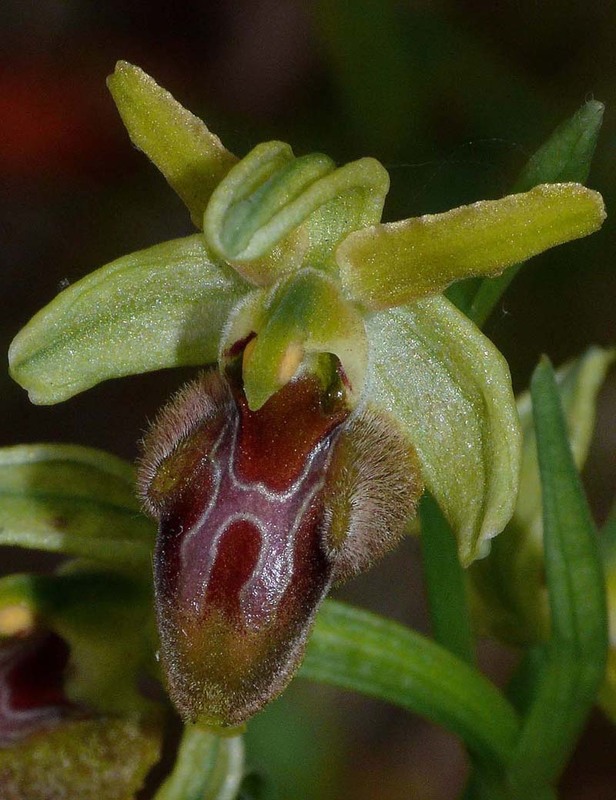 There are of course overlaps in range but they are not huge and the region in which you discover one of these Ophrys is a significant key to its identity. 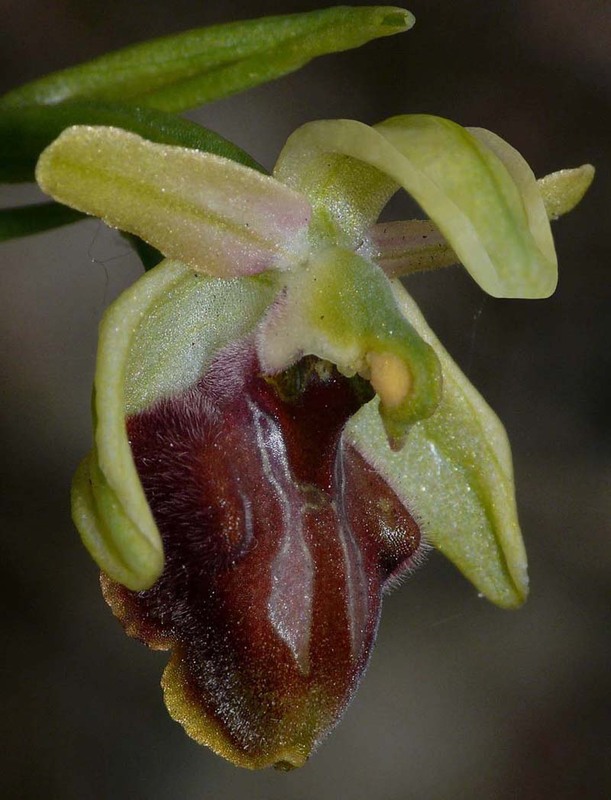 In appearance, O. cilentata is highly variable with neither perianth, speculum pattern or li shape being conclusively indicative of species. 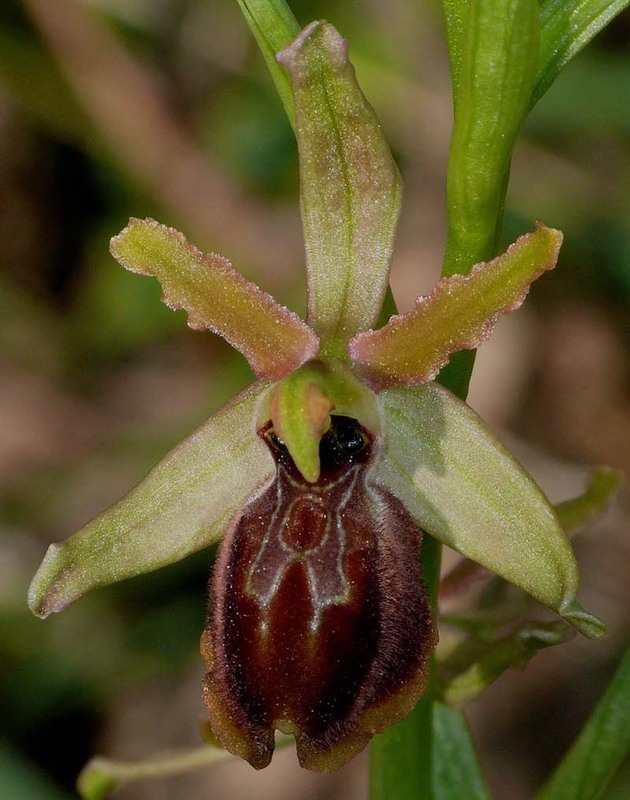 Habitat may be alkaline or acid, it will tolerate dry or moist soils and thrive in full sun or mid shade. 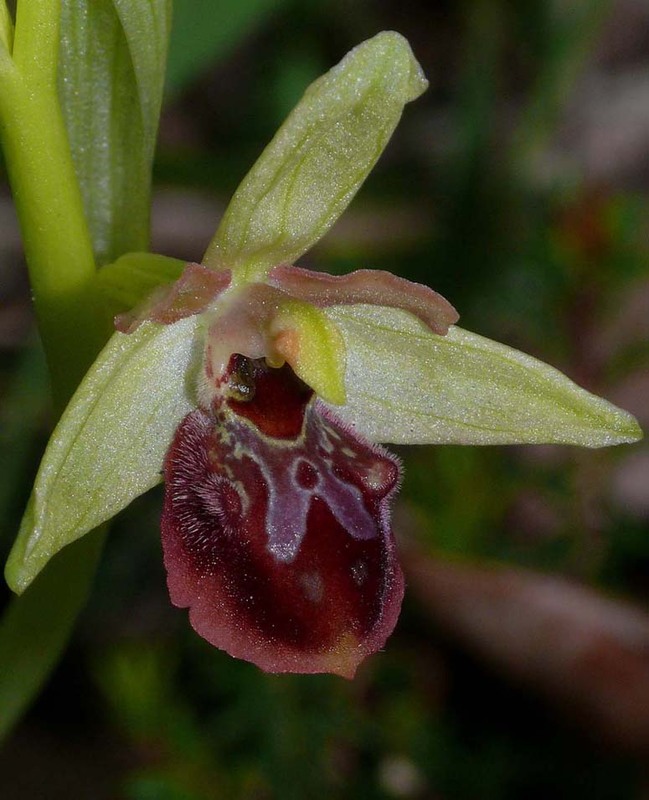 It's an early flowerer and we have noted plants growing in full sun that were way past their best by the last week in March . 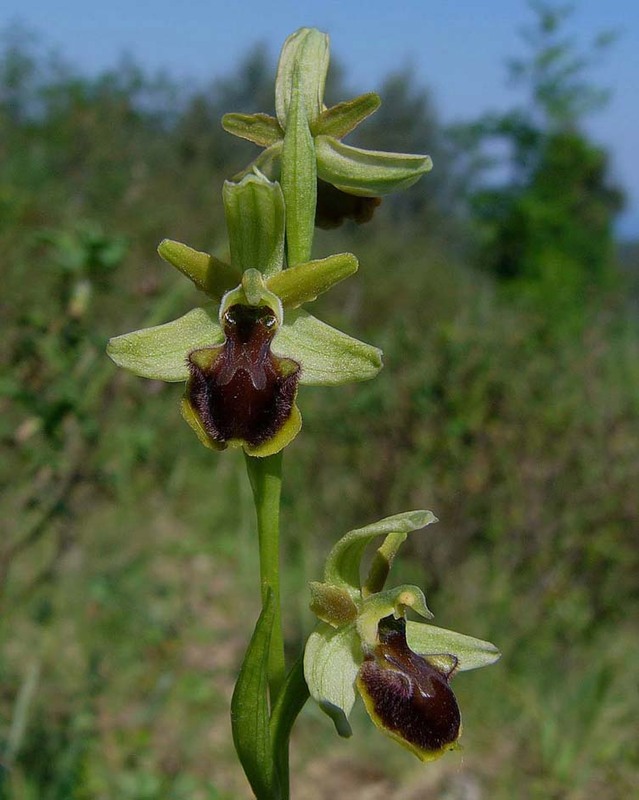 The photographs all come from the Cilento National Park.